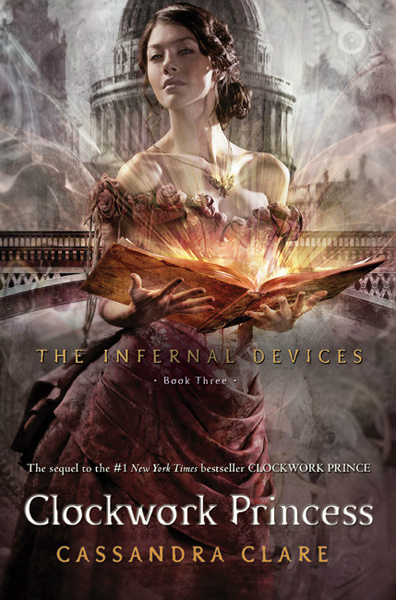 Synopsis: In Clockwork Princess, Tessa and her companions travel all over the world as they race to stop the clockwork army before it’s too late. As Jem’s health worsens alarmingly and his friends search desperately for a cure, can Tessa choose between the two boys she loves—even if it means never seeing the other one again? Holy mother of goodness gods! Tessa is freaken GORGEOUS. The cover model is probably dancing somewhere because of everyone saying how lovely she is. The dress = beautiful. The necklace = perfect. The book = more perfect. I love everything about this cover! 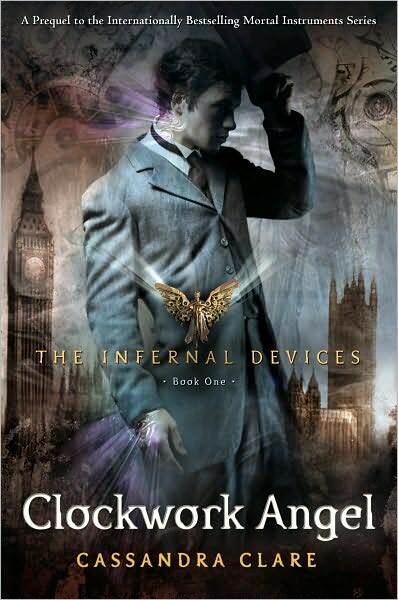 It rival's Clockwork Angel's cover for me. Like seriously, CClare is SO SO SO lucky with how gorgeous of covers she's gotten. Ahhhh! This is STUNNING and I NEED it on my shelves RIGHT NOW. And I want my own clockwork angel necklace. And that dress. Also, I am so with you - Jem is adorable, but Tessa and Will belong together. Will's who she's got the real chemistry with. I like Jem and Tessa as friends, but I just never felt them as a couple. I was so upset about the engagement that I had to tell my Mum (since we were on holiday and she was the only one around) a (extremely detailed) summary of both books and a "Waaahh! There can be no happy ending now! My heart is breaking!" But seriously, I don't see how there CAN be a happy ending for everyone. Unless Jem falls in love with Will's sister Cecily instead? But Jem is too loyal for that! Eeeek!!! I so agree. Tessa and Will are so meant for each other. I hope they end up together. <3 I have a feeling they'll find a cure for Jem and it'll be him turning into a silent brother. And then Tessa and will live happily ever after! At least I hope lol. 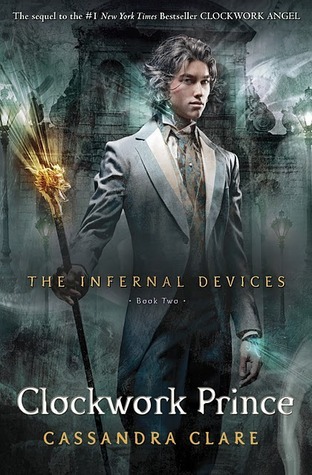 Did you notice that it says the sequel to Clockwork Prince that seems weird to me. Ah yeah! It should say conclusion! Good notice! !